Posted on Friday, May 03, 2013 by "T". 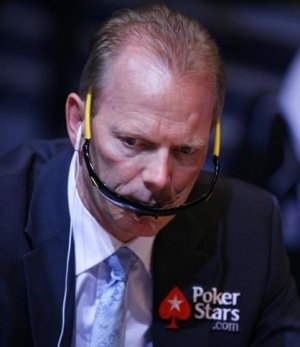 Team PokerStars Pro Marcel "Flying Dutchman" Luske, 60, who's well known for always wearing a suit and singing at the poker tables, has been running extremly well in the past five months or so. It all started in December 2012 when he bested a field of 130-players at the PokerStars Hold'em Challenge Winter Edition €500 NLH event at the Casino de Namur in Belgium ($15,162). A month later, he went across the world to take part in the 2013 PokerStars Caribbean Adventure and managed to win two events: Event #16 $1,000 HORSE for $18,500 and Event #32 $1,000 8 Game for $13,810. 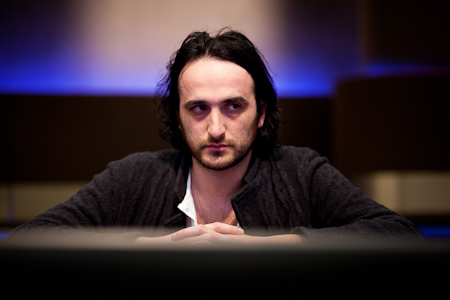 Griffin "Flush_Entity" Benger Wins EPT Berlin High Roller! Posted on Monday, April 29, 2013 by "T". 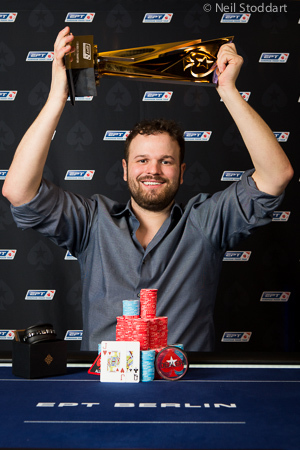 Read more » Griffin "Flush_Entity" Benger Wins EPT Berlin High Roller! Daniel Pidun, of Germany, took an early lead on the main event final table last Saturday and eliminated player after player to increase his lead. After about 5 hours of final table action, Pidun was the last man standing and collected €880,000 and a Slyde watch worth €5,000. Posted on Friday, April 26, 2013 by "T". On Thursday, Ronny Voth was eliminated from the main event after 4 days of play (50th place - €15,000), but the German pro had no plans whatsoever to take a break from poker given that he signed up for the €10,000 buy-in High Roller event. He and another 135 players battled it out for several hours before the tournament director called it a day. 56 players became 17 players during Day 4 of the European Poker Tour Berlin main event and, unfortunately, many notables were among the ones who didn't make it: Liv Boeree, Sandra Naujoks, Boris Becker, Day 1 chip leader Rony Voth and the Finnish Day 2 and Day 3 chip leader Aku Joenausta. Posted on Thursday, April 25, 2013 by "T". Finnish poker player Aku Joentausta didn't let go of his lead during Day 3 of the Main Event when the field was narrowed down from 170 to 56 players. The young Finn played extremely well and it almost seemed like he took home every single pot. He will bring 1,039,000 chips today, ahead of the only other player with a seven figure stack: Emil Ohlsson, from Sweden, with 1,011,000. Posted on Wednesday, April 24, 2013 by "T". Many big names were lost during the second day of the EPT Berlin main event: Max Lykov, Bertrand "ElkY" Grospellier, Eugene Katchalov, Jeff Hakim, Tobias Reinkemeier, Mattias De Meulder, Benny Spindler, Jake Cody, Vanessa Selbst, and a few others. 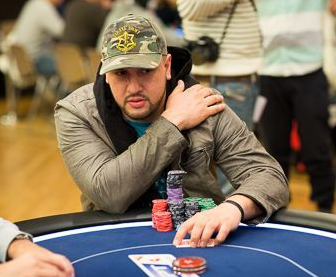 Michael "The Grinder" Mizrachi, the Day 1B chip leader, also failed to make it through the day. Mizrachi was sent packing during the fourth level with the nut flush against the turned full house of Khiem Nguyen, a young German player. Boris Becker is the most familiar name among the 175 players who will return to play in a few hours. The former German tennis pro will bring 113,000 chips to the tables, which is about average. He will be joined by notables such as Theo Jorgensen (171,600), Olivier Busquet (170,000), Alex Kravchenko (135,000) and Liv Boeree (85,400). The money bubble will burst when 136 players remain (€8,000 minimum cash) and the winner will take home an incredible €880,000! The second flight of the European Poker Tour Berlin main event saw a field of 565 players, which means that a total of 912 players entered the tournament, making it the second largest EPT Berlin in history. At the end of Day 1B there were 314 players left and Michael "The Grinder" Mizrachi had the lead with 175,400 chips. Mizrachi is ranked fourth when Day 2 kicks off in a few hours, and he will be joined at the table by famous poker pros such as Sorel Mizzi (119,500), Tobias Reinkeimer (81,100), Marvin Rettenmaier (47,500), Olivier Busquet (47,100) and Eugene Katchalov (38,600). Posted on Monday, April 22, 2013 by "T". The first starting day of the European Poker Tour Berlin main event attracted 347 runners who could afford the buy-in of €5,300. After eight levels of play, Day 1A concluded with 250 survivors and Ronny Voth (picture) out in front with 196,100 chips. 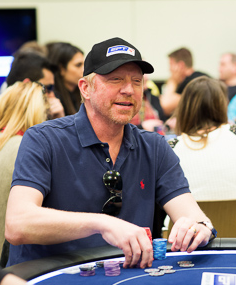 Many well known players will join him for Day 2 tomorrow, including Boris Becker, Mattias de Meulder, Liv Boeree, among others. The second starting day (Day 1B) kicks off in a few hours and a greater field of players is expected to show up, so there should be a very nice prize pool up for grabs! We will be back with another brief update tomorrow morning. Posted on Friday, November 09, 2012 by "T". 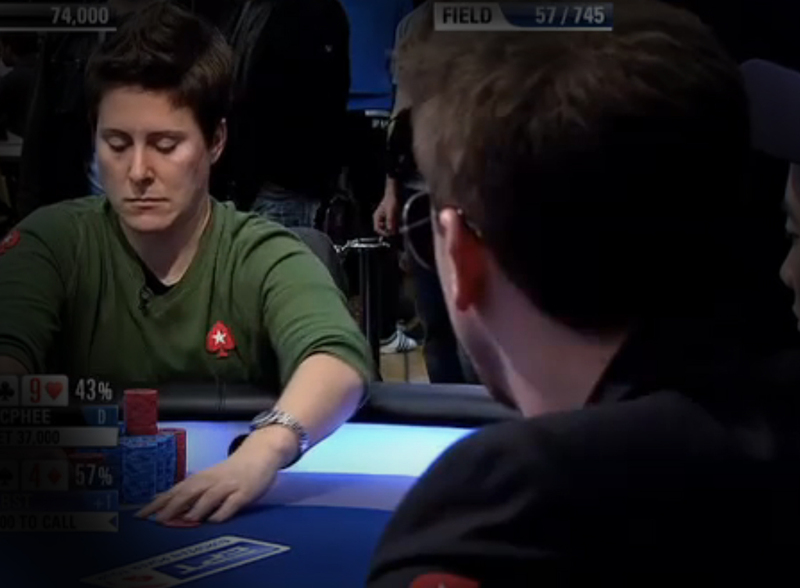 In the most recent episode of the 2012 EPT Berlin Main Event, Team PokerStars Pro Vanessa Selbst and Kevin MacPhee played a very interesting hand. Selbst betted 17k from UTG, MacPhee reraised to 37,000. Selbst made it 79k, and MacPhee 5-bet to 131k. Selbst asked Kevin MacPhee how much he had left, then went all in. MacPhee made the call after 1 minute of going through potential hands Selbst could have. 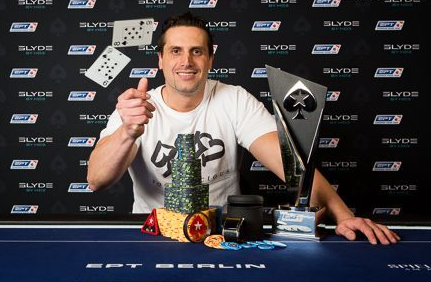 Davidi Kitai wins EPT Berlin for €712,000! Posted on Monday, April 23, 2012 by "T". 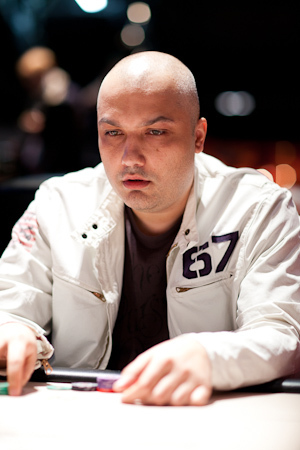 Day 1a chip leader Vladimir Geshkenbein (EPT Snowfest winner), Day 1b chip leader Cengiz Ulusu (finished 8th in 2009 EPT Dortmund) and Day 2 chip leader Anton Wigg (EPT Copenhagen winner). All of them made deep runs in the EPT Berlin main event but unforturnately none of them were among the 8 players who battled it out on the final table on Saturday. 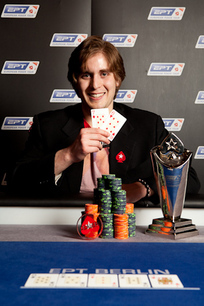 Read more » Davidi Kitai wins EPT Berlin for €712,000! 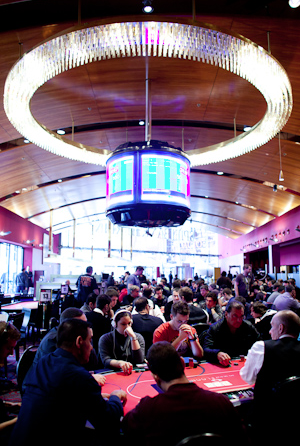 Yesterday the third day of the EPT Berlin main event began with 102 players. The chip leader was EPT Copenhagen winner Anton Wigg with 695k, closely followed by EPT Snowfest winner Vladimir Geshkenbein. Both of them had one hell of a roller coaster ride during Day 3 but still made it through to Day 4 with decent stacks. 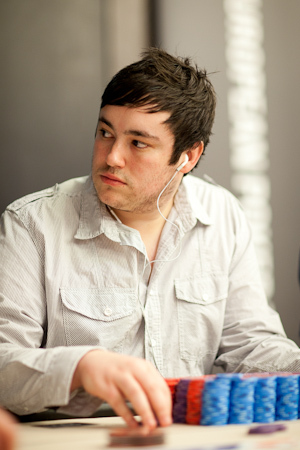 The new chip leader is Marc Wright from Cornwall, England. Wright overtook the lead from Wigg and Geshkenbein already during the second level of play, then continued playing well till the tournament director called it a day. Wright will bring 2,4 million chips to the tables today, some 89k ahead of Thomas Cibak, from Czech Republic, in second place. EPT Berlin: Day 1a in the books. Vladimir Geshkenbein from Russia leads! Posted on Tuesday, April 17, 2012 by "T". A total 243 players went to Hyatt Hotel yesterday and participated in Day 1a of the EPT Berlin main event. After 10 one-hour levels had been completed only 110 had chips left. The one who finished the day with the largest stack (201,600) is the Russian pro Vladimir Geshkenbein. Read more » EPT Berlin: Day 1a in the books. Vladimir Geshkenbein from Russia leads! Posted on Wednesday, April 04, 2012 by "T". In ended up being EPT Berlin winner Ben "NeverScaredB" Wilinofsky from Canada who grabbed the last seat in the prestigious PartyPoker Premier League - after beating Melaine Wiesner heads-up in the second qualification tournament (the first was won by Mathew Frankland). In PartyPoker Premier Leauge, Wilinofsky will face an extremely tough field that includes amazing players such as Sam Trickett, Daniel "Jungleman12" Cates, Vanessa Selbst, Patrik Antonius and Bertrand "ElkY" Grospellier. PartyPoker Premier League kicks off today and will run until the 10th this month. 14 pros are taking part in the tournament and lots of money is at stake since $200k extra will be added to the final table and all the players have paid $125k buy-in to enter the tournament. We will keep you updated from start to finish! Posted on Monday, April 11, 2011 by "J". Under the name 'NeverScaredB', Canadian Ben Wilinofsky has won his fair share of major tournaments on the internet, but before EPT Berlin he had despite numerous attempts, never even cashed in a live tournament. With a completely empty live-CV before EPT Berlin, Ben Wilinofsky did'nt seem to be the biggest threat in the fight for victory, but the 22-year-old Canadian was probably one of the tournament's most experienced players. According to different tournament portals, he has cashed for more then $ 2,100,000 in online tournaments, including $ 65,000 for a victory in the prestigious Super Tuesday on PokerStars. Posted on Thursday, April 07, 2011 by "T". 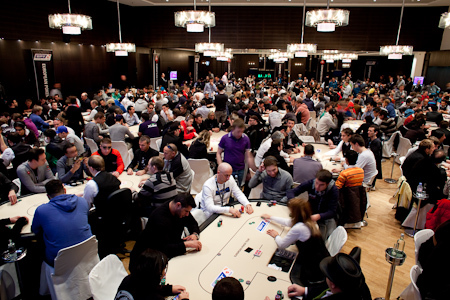 The 2011 EPT Berlin Main Event attracted a 773-player field (€5,500 buy-in) and 353 of them made it through the two starting days and will soon return to the tables and play Day 2 of the tournament. The total prize pool is €3,865,000 from which the top 120 will get a piece of. 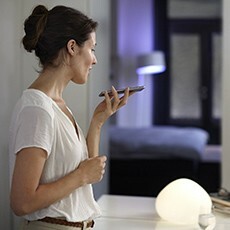 The first place pays €825,000, the runner-up will get €500,000, and third place finisher will get €300,000. The average chip stack is 65,694 and the chip leader is Sander Berndsen from Netherlands with 242,900, then Oleg Elkin, from Russia, in second place with 210,000 and Christian Dragomir, the Day 1a chip leader, in third place with 205,500. We will return with an update as soon as Day 2 comes to an end. Stay tuned! Posted on Wednesday, April 06, 2011 by "T". Yesterday EPT Berlin began. 315 players, all full of hope to survive the day with a large stack, signed up for the first starting day of the Main Event. Martin Jacobson, Jeff Sarwer, Antonio Buonanno and Mathias Kuerschner were 4 of the players whose chip stacks took the center stage during the day. All of them had over 150,000 chips at different times of the day. When Day 1a almost had come to an end it seemed like Martin Jacobson, from Sweden, would be the chip leader with a 177k stack. But 4 players passed Jacobson and instead it was Romanian Christian Dragomir (picture) who finished the day with the largest stack. 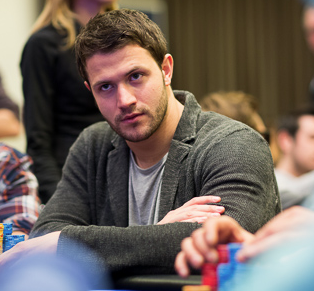 Dragomir sent Benny Spindler to the rail in the last five hands and finished the day with 205,500 chips. Posted on Monday, May 31, 2010 by "T". German police has just announced that another suspect for the robbery at EPT Berlin has been arrested. 6 people have now been arrested for being involved in the robbery at EPT Berlin, but still the police has only found about €4000 of €250,000. In other words, a lot of money is still missing and it also seems like it will remain that way. INFO:The robbery at EPT Berlin took place in march this year and the news hit the headlines on all poker related newspapers around the globe. Everything was caught on tape and it didn't take a long time before the police could arrest some of the people who had been involved. At first, it was said that the robbers got away with more than €800,000. Later on however, the amount was said to be around €250,000. Posted on Friday, April 02, 2010 by "T". Last weekend a casino in Basel, Schweiz was robbed. Around 10 armed men broke in through the entrance door, dragged guns and fired a warning shot before demanding everyone to lay down on the floor while they went through their handbags and pockets taking everything of value. The robbers failed with getting in to the bank valve, though, they still managed to get away with quite a lot of money. So far the police hasn't arrested anyone and there are very few details left out for media to take part of. This is the 4th casino related robbery in Europe in a very short time. In the beginning of February a casino in Malta was robbed. On the 6th March the Grand Hyatt hotel, where EPT Berlin took place, was robbed. The very next day a money transport truck was robbed outside Casino Cosmopol in Stockholm. Posted on Tuesday, March 23, 2010 by "T". During last weekend the German police arrested the 2 last remaining suspects for the EPT Berlin robbery, Mustafa Ucarkus and Jihad Chetwie. 20-year-old Mustafa Ucarkus was arrested at Tegel airport after his lawyer gave authorities a tip on where he was. 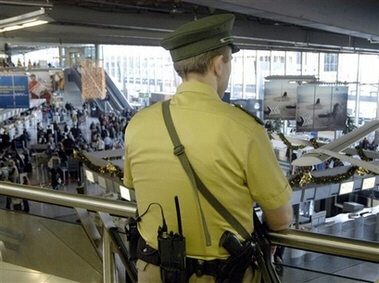 Jihad Chetwie, the final suspect in the March 7th heist at EPT Berlin, turned himself in at Tegel airport after flying in from Beirut, Lebanon. It seems like he was afraid of getting caught in Lebanon and therefore decided to return to Germany and most probably German prison. 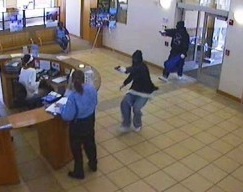 There are very few details regarding the money from the robbery. But its probably just a matter of weeks before we get to know the full story behind the EPT Berlin robbery. Posted on Friday, March 19, 2010 by "T". Earlier this week Vedat S turned himself in to police. His cooperation has been very important for the German police as they now have arrested a second person for the robbery at EPT Berlin. The second arrested man is 20-year-old named Ahmad el-Awayti. Ahmad el-Awayti surrendered himself to the authorities at a subway station in Rosenthaler Square. He went up to the police officers saying "I believe you are looking for me" and was then arrested without any fight. The police are now looking for the two outstanding suspects, Jihad Chetwie, 19, from Germany and Mustafa Ucarkus, 20, from Turkey. It's probably just a matter of days before the police have arrested all the robbers. Posted on Thursday, March 18, 2010 by "T". The spectacular robbery at EPT Berlin is about to be solved thanks to that the german police has arrested a 21-year-old man who was involved in the robbery. The arrested man has already admitted that he was involved in the robbery, however, he refuse to help the police with information on the 4 other robbers and where the 242,000 Euro is being hidden. Even though the man refuse to help out with any information, the german police still claim to know exactly who to look for and they say that its just a matter of time before the robbers will get caught. Posted on Saturday, March 06, 2010 by "K". An armed robbery by six men took place today at EPT Berlin. Nobody was seriously injured. We hope to re-start all events at 4pm local time. A police investigation is under way. If you have video footage or photographs that could help the police, please contact the EPT organizers as soon as possible. According to German media, the robbers managed to get away with at least 800,000 euro. An amount not yet confirmed. Nobody was physical hurt during the heist. The EPT tournament is said to continue today at 4pm local time (unconfirmed). 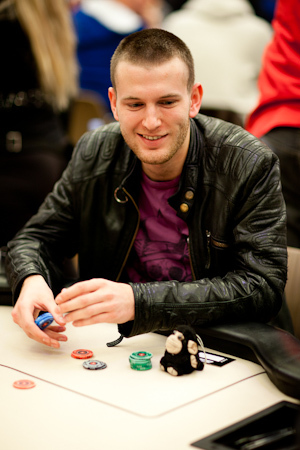 EPT Berlin: Many Team PokerStars Pros in the top of the field! Posted on Friday, March 05, 2010 by "T". 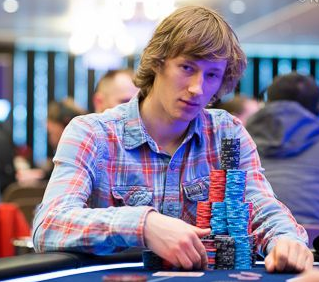 Day 2 of the EPT Berlin Main Event ended up being a day with lots of action. In seven 75-minute levels, 360 of the 484 who started the day got knocked out. Thats almost three quarters of the field! Many notable players were sent packing this day - Thierry van den Berg, Jeff Sarwer, Noah Boeken, Florian Langmann, Barny Boatman (just to mention a few). However, many of the Team PokerStars Pros can be found in the top of the remaining field of 124 players - Johannes Strassmann (794,500 - 2nd place), Jude Ainsworth (720,500 - 4th place), William Thorson (496,000 - 5th place), Julian Thew (350,000 - 9th place) and Marcel Luske (270,000 - 12th place). 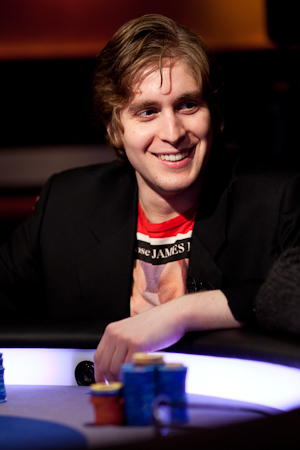 Of these Team PokerStars Pros, my money is still on William Thorson to make it the furthest in the tournament. 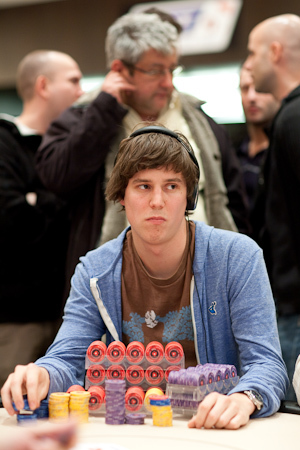 Leading the field, thought, is young Swiss national Stefan Huber (picture) with 1,087,500 chips. He's for sure going to make it deep into the money if he continues playing this well. However, he will have to fight really hard in Day 3 of the tournament if he want to remain in the lead. Because all the Team PokerStars Pros in the top of the field will for sure switch to the next gear now and aim to build up even bigger stacks, so that they are ready for Day 4 and eventually the final table. EPT Berlin - Main Event: Massive field in Day 1b of the tournament! Posted on Thursday, March 04, 2010 by "T". A massive field of 557 players packed the ballroom at the Grand Hyatt hotel in Berlin as the second starting day of the EPT Berlin Main Event kicked off. Out of the 557 players who started the day, roughly 300 players made it to Day 2 of the tournament. 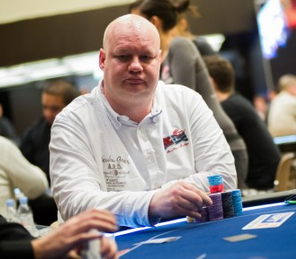 Read more » EPT Berlin - Main Event: Massive field in Day 1b of the tournament! Posted on Wednesday, March 03, 2010 by "T". 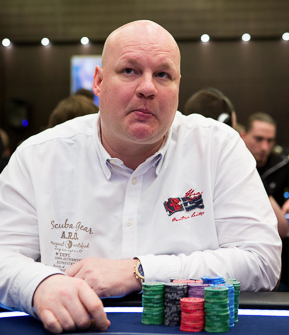 A field of 389 players signed up for the first starting day of the EPT Berlin Main Event. This field included poker pros from all around the globe and also some celebrities. After many hours of play, 196 out of 389 players had made it through to Day 2 of the tournament. 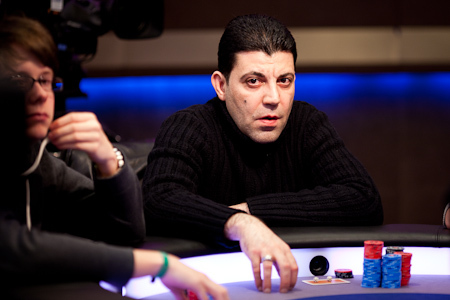 Kfir Yumin from Israel accumulated 213,500 chips during Day 1a of the tournament. He's now in a lead with around 50k chips more than many of the other top finishers of Day 1a. Day 1b is about to start now. And as usual when it comes to the second starting day of any major tournament - more players and more pros are expected to take part. This will hopefully make Day 1b of the EPT Berlin Main Event even more interesting to follow! Posted on Tuesday, March 02, 2010 by "T". Its soon time for the European Poker Tour to make another stop. This time it will be in Berlin instead of Dortmund where it has been played in the previous seasons. Anyhow, PokerStars is expecting even more players this year than last year because of the new location and the €1 million first place prize guarantee (667 players took part last year - Sandra Naujoks won and took home the first prize of €917,000). Team PokerStars Pros Sebastian Ruthenberg, Benjamin Kang, Johannes Steindl, Arnaud Mattern, Tom McEvoy, William Thorson are all scheduled to take part in Day 1a of the Main Event, which will give the tournament the best possible start!